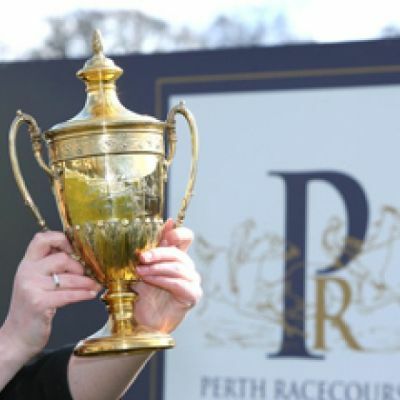 The Perth Gold Cup: No Problema for Tic! It has been a little while since I wheeled out an NTF to follow runner but after reviewing some of the races from the recent Aintree Festival there were a couple that went in my notebook with a view to future engagements, 1 of them who I want to share with you today. This 7yo had been struggling a touch in his 4 starts to date this season, recording unattractive form figures of 5F60. In the main those below par efforts were due to the ground and a handicap mark he was probably struggling from. On Saturday they applied first time blinkers to the gelding and there was much more life to him as he tracked the pace before hitting the front around 4 from home. He was no match for the winner Battle Group (who was!!) but he hung on for 4th placed money and there was enough in the run for me to start getting interested in him. One of the main reasons for his improved run was the fact he was meeting genuinely GOOD ground for the first time since his victory at the end of last season at the Ayr Scottish Grand National meeting. His record on GOOD ground now reads 11114 with his 2 best RPR figures coming on GOOD ground as well as 3 of his 5 career best RPR figures being recorded on GOOD ground. So where to now for PROBLEMA TIC? The obvious choice is to stay handicapping at these 3 mile+ trips. Handily he was dropped 3lbs for his run on Saturday and now sits on a mark of 134, an OR that is 3lbs less than the mark he won from at Ayr on his final start last term and 10lbs less than the one he started this season on. 134 is a mark well within his limitations and it would be disappointing if he can’t score from it now the ground has dried out. He holds an entry in the Scottish National and that is a feasible target given that we know he handles the track and should get his preferred ground. It is a tough race to win, however, and a poor showing in that race would not necessarily put me off. Further afield a race like the Perth Gold Cup would be an interesting summer target; Pipe has saddled 1 winner and 2 placed horses from 6 runners since 2007 in the race and his father also had the winner in 2004. Added to the fact the horse has solid form figures of 11421 when racing right-handed and there is a decent chance of Good ground in the Perth Gold Cup (decent although having lived up that way not nailed on!?!?!) then this valuable summer pot looks a viable option. Recent form should keep his price in a value range and this lightly raced youngster looks ready to hit the mark soon. That’s my thoughts but what about you lot? Who were the runners that caught your attention and went in your own notebook as ones to follow from the Aintree Festival? Did you see any future Cheltenham or Aintree champions among the Novice events?